Do you live near a path of water that sometimes swells its borders and invades your home? Does rainy weather produce a stream running near your house that you need to channel away from your property? The Absorbeez Boom Sandless Sandbag is ready and available to help you control your water issues.Absorbeez is designed to help stop water going where you don’t want it to go and remove water after it has gone where you didn’t want it to go. 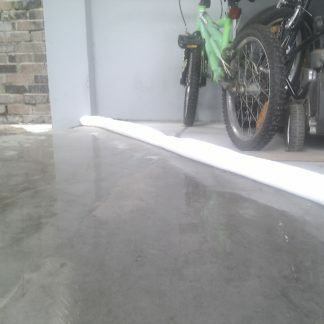 The ideal leak intervention and flood protection product … without the messiness, hassle or weight of a sandbag! 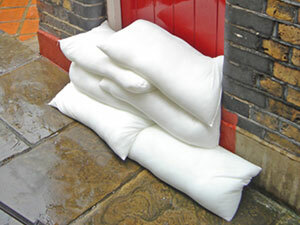 The Absorbeez Boom Sandless Sandbag is one of the most innovative and sought after products in our catalogue as it is designed to protect large areas from water. 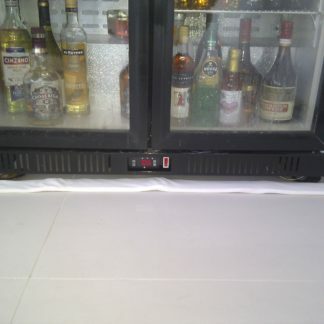 It uses a very little space and you can easily hide it from view by placing plants around it. 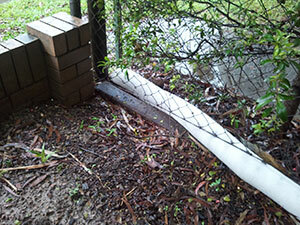 It measures 7.25 m x 100 mm, and it is made specifically to protect fence lines and to channel water away from your house. 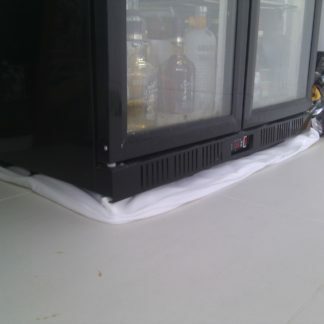 The Absorbeez Boom Sandless Sandbag can absorb up to 29 litres of water. It comes in a pack of 2. 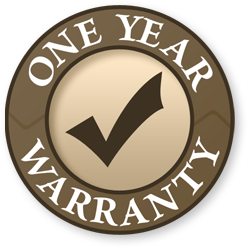 Absorbeez sandless sand bags come in 10 different shapes and sizes to meet your requirements – from 30cm to 7.25 metres long. 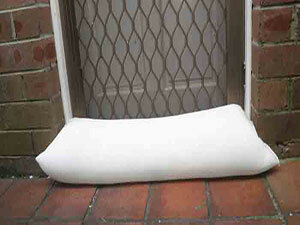 To protect doorways in your home, try Absorbeez Stacka Sacks Sandless Sandbags.